Dayspring Mugs Buy One Get One FREE + FREE Shipping Site Wide = HOT DEALS! Yay! 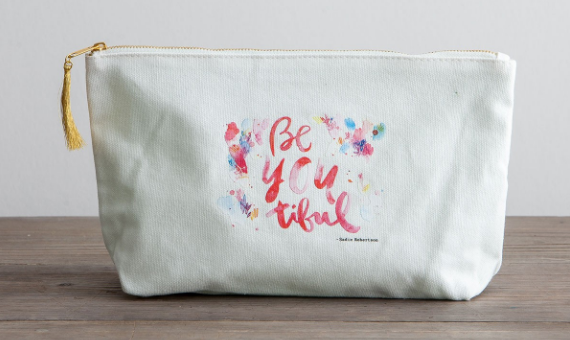 Probably one of my favorite sales of the year, FREE shipping site wide right now at Dayspring with coupon code: SHIP4FREE. I finally got the Grace for Today Butter Dish (shown above) that I’ve been wanting for years, and only $8 shipped. I told my hubby that he can wrap it up, I’m so excited about it. It’s the little things, right!? 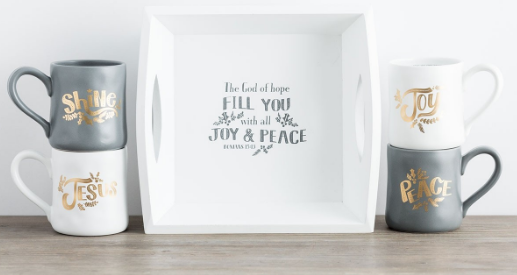 Another of my favorite finds in this sale is this Jesus, Peace, Joy, Shine – Christmas Hand-Thrown Mugs and Wooden Tray Set which after sale price and free shipping is ONLY $30 shipped! Dayspring ALSO currently has a HOT deal going on their mugs which are BOGO! That means that if you purchase one mug, you will get a second for FREE (deal automatically applies in cart) meaning that you can get mugs for as low as $4.50 each shipped!! See the BOGO Mug selection here and use coupon code: SHIP4FREE to make your shipping totally free! Remember, this sale ends tonight! !